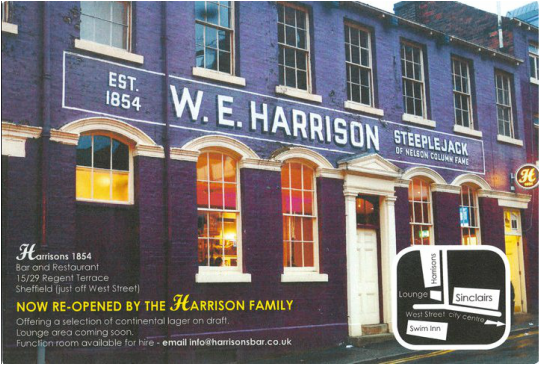 Welcome to Harrisons 1854 Bar! Harrisons 1854 offers you a relaxed spot for good drinks, good chat and a friendly atmosphere. You can find us on Regent Terrace, just off Glossop Road and a few steps from the madding crowds of West Street. Look for the big purple building and the twinkling lights! We also stock a variety of wines from the Old and New Worlds. There are a number of regular DJ nights and live music events held within the bar. Check out the 'Events' page for more details. For Cocktail Class Bookings check out our 'cocktail classes' page. We are also available for private hire for parties and events, accommodating 20 to 100+ guests. Visit the 'Bookings' page for further details.